Today’s edition of ‘Raga CDs of the Month’ @ Radio RaSA (and worldwide as webradio) directly is following our latest broadcasting: “Celestial Music of 726 years – a review of 2011“. Die heute Ausgabe von Raga CDs des Monats auf Raio RaSA (und weltweit als Webradio) folgt direkt unserer Sendung “726 Jahre himmlische Musik, ein Rückblick auf 2011“. Very rare: HARMONICA in North Indian Classics…. A – Raga CDs des Monats (11/2013): 726 Jahre himmlische Musik. Die Förderinitiative IMC – India meets Classic heisst alle Musikfreunde aus dem deutsch-sprachigen Raum, aus Indien und aller Welt herzlich willkommen. Von 23:00-24:00 Uhr gibt’s heute IMC – India meets Classic auf Radio FRO (und als Internetradio weltweit). A – Raga CDs of the Months (11/2013): 726 Years of Celestial Music. The list of recommendations for this year’s Padma awards shows that some people had suggested multiple candidates while others had pushed for their relatives and friends for the coveted civil honours, a Right To Information reply revealed. The list of 1,300 recommendations made public by the home ministry in an RTI reply shows that Congress leader Motilal Vora, Minister Rajeev Shukla, MP T Subbarami Reddy, classical singer Pandit Jasraj, among others, had recommended multiple names for the awards. Bharat Ratna awardee Lata Mangeshkar had recommended three names — sister Usha Mangeshkar, playback singer Suresh Wadkar and social worker Rajmal Parakh. 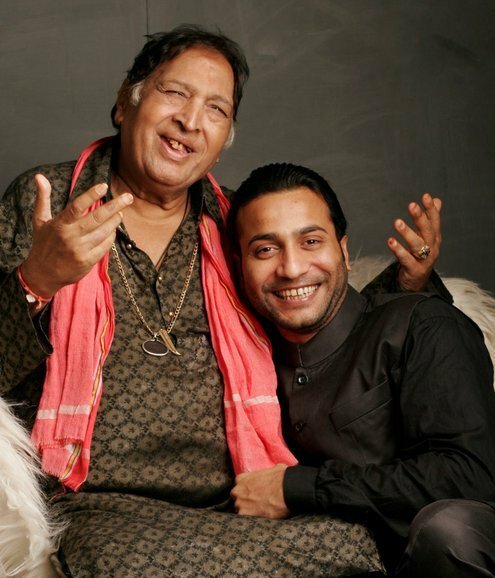 Recipient of Padma Vibhushan, sarod player Ustad Amjad Ali had made six recommendations — his sons Amaan and Ayaan, Hindustani classical singer Kaushiki Chakrabarty, tabla player Vijay Ghate, art promoter Soorya Krishnamurthy alias Nataraja Krishnamoorthy and sitar player Niladri Kumar. Former Samajwadi Party leader Amar Singh recommended Rajya Sabha member Jaya Prada for the awards. However, Usha Mangeshkar, Amaan and Ayaan did not make it to the Padma awards list announced this year, as per the Ministry of Home Affairs website. 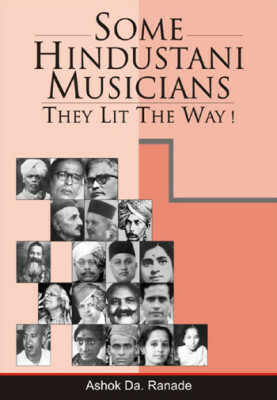 Well-known classical singer Pandit Jasraj had made nine recommendations for the awards, while Rajiv Shukla had made five, Motilal Vora eight, Home Minister Sushilkumar Shinde had recommended two theatre personalities, External Affairs Minister Salman Khurshid had suggested two names and Congress MP Vijay Darda had nominated three persons. RTI activist Subhash Agrawal claimed that hectic lobbying for Padma awards has become an unavoidable feature especially in fields like ‘medicine’ and ‘trade and industry’, as these awards monetarily benefit the awardees. DE – Raga CDs of the Months (11/13): Nazrul Sangeet – The rebel poet. In the 20th and 30th of last century Kazi Nazrul Islam (1899-1976) was one of the most dazzling figures of Bengal music. Nazrul was a poet, publisher, journalist, actor, music director and radio producer, all in one person. Nazrul is the founder of the modern music of Bengal, today the region of Westbengal (India) and Bangladesh (since 1971: Republic of the People of Bangladesh, former East Bengal / East Pakistan). Nazrul succeeded it to merge elements of North Indian classics (Hindustani) with the tradition of folk music (Professor Rafiqul Islam, Kulna University – Nazrul Institute (Dhaka), 1994). Nazrul was the companion of Rabindranath Tagore, the universal genius and first Nobel prize winner for literature of India in 1913. And Nazrul’s writing identified him as political freedom fighter for the Indian freedom movement. Nazrul was adjudged front court of British India for his commitments as poet, journalist and publisher with one year prison in 1922/23 and publication prohibition. In 1921 appeared Nazrul’s most famous poem Bidrohi – The Rebel. The poems and songs after Nazruls release from custody were focced more on topics of the suppressed classes and criticized the socio-economic standards and grievances in the political system. Like his companion Tagore (1861-1941) same Nazrul resisted religious fanaticism and pleaded for the equalization of man and woman. Nazrul’s poem Nari (= woman) expresses this clearly. Nazrul did not understand ‘equal rights’ in the sense of equalization, rather as a synergy between woman and man. In his active work time (1910-1942) Nazrul had written more than 600 Raga compositions, from which most were lost more. 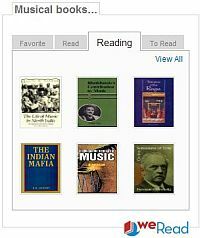 The later publishings by Nazrul between 1928 and 1935 cover 800 songs collected in a 10 volumes. More than 100 songs are folk musica and about 30 are patriotic songs. (Notes: The complete work of Nazrul covers roughly approx. 4000 songs.) This song collection is called Nazrul Sangeet (or Nazrul Geeti). DE – Raga CDs des Monats (11/13): Nazrul Sangeet – Der rebellische Poet. Kazi Nazrul Islam (1899-1976) war in den 20er und 30er Jahre des letzten Jahrhunderts eine der schillernsten Figuren der bengalischen Musik. Nazrul war Dichter, Verleger, Journalist, Schauspieler, Musikdirektor und Radioproduzent in einer Person. Nazrul ist der Begründer der modernen Musik Bengals, dem heutigen Westbengal (Indien) und Bangladesh (seit 1971: Republik des Volkes von Bangladesh, ehem. Ostbengal, Ost-Pakistan). Nazrul gelang es, Elemente der nordindischen Klassik (Hindustani) mit den Traditionen der Volksmusik zu verschmelzen (Prof. Rafiqul Islam, Kulna Universität – Nazrul Institute (Dhaka), 1994). Als Weggefährte des Universalgenies Rabindranath Tagore (Indien’s erster Nobelpreisträger für Literatur, 1913) war Nazrul in seinen Schriften politischer Freiheitskämpfer für die indische Freiheitsbewegung. Nazrul wurde für sein Engagement als Poet, Journalist und Verleger 1922/23 mit einem Jahr Gefängnis und Publikationsverbot durch den Gerichtshof von British-Indien bestraft. 1921 erschien Nazrul’s berühmtestes Gedicht Bidrohi – The Rebel (Der Rebell). 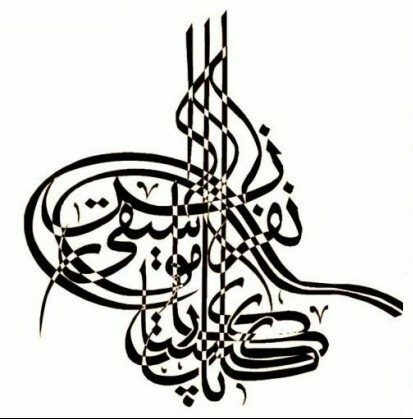 Die Gedichte und Lieder nach Nazruls Haftentlassung waren Themen der unterdrückten Klassen, übten Kritik an den sozio-ökonomischen Normen und den Misständen im politischen System. Wie sein Weggefährte Tagore (1861-1941) wehrte sich Nazrul auch gegen religiösen Fanatismus und setzte sich für die Gleichstellung von Mann und Frau ein. Nazrul’s Gedicht Nari (= Frau) bringt dies zum Ausdruck. Gleichberechtigung verstand Nazrul nicht im Sinne von Gleichmachung, vielmehr als ein Synergetisches zwischen Mann und Frau. Nazrul hatte in seiner aktiven Schaffenszeit (1910-1942) mehr als 600 Ragakompositionen verfasst, von denen die meisten verloren gegangen sind. Die späteren Veröffentlichungen Nazals, zwischen 1928 und 1935 umfassen in einem 10-bändigen Gesamtwerk mehr als 800 Lieder. Mehr als 100 sind als Volksmusik angelegt und etwa 30 sind patriotische Lieder. (Anm. : Das Gesamtwerk umfasst schätzungsweise ca. 4000 Lieder.) Diese Liedsammlung wird als Nazrul Sangeet (oder Nazrul Geeti) bezeichnet.